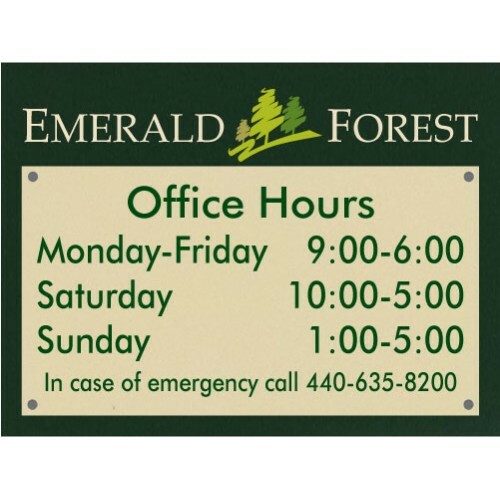 Call us with your specific office hours sign need. 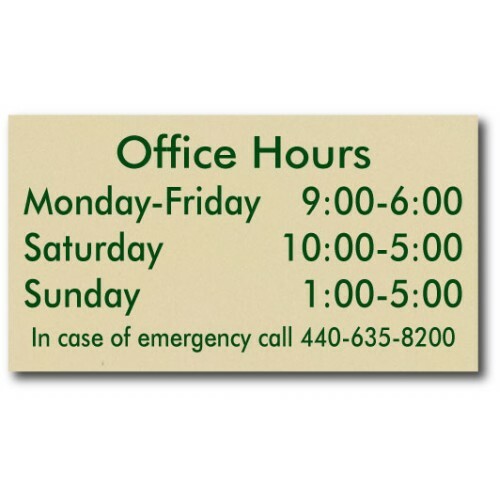 Sometimes you may need an additional hours plaque. 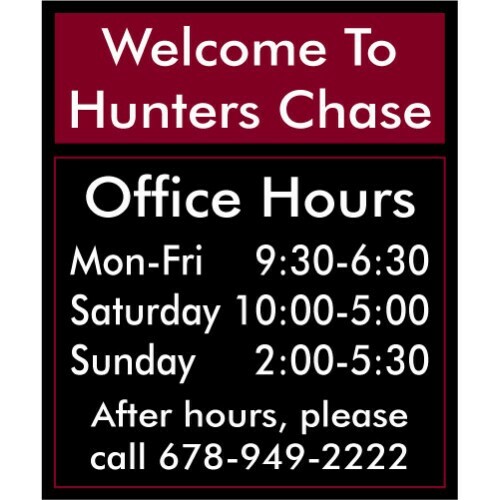 We keep your specs on file, so we can make&..
Our exclusive changeable office hours plaque is ideal if you have summer and winter hours. 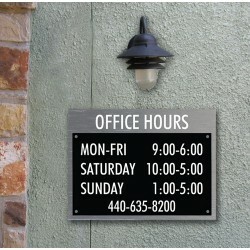 The engra..
An attractive and affordable look for your office hours. 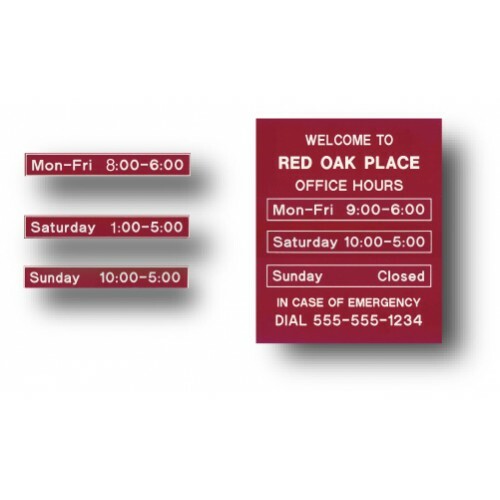 Our framed signs have a sleek spring loaded.. 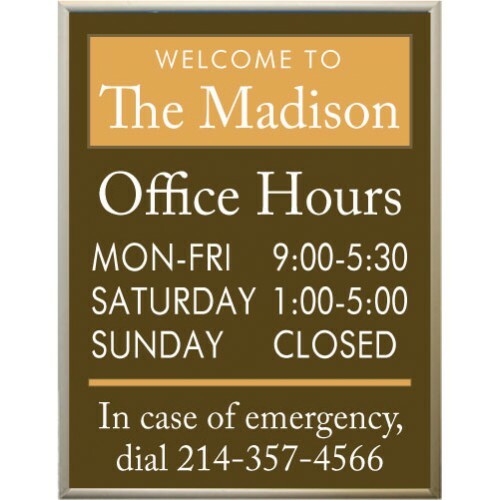 Attractive office hours plaques are a warm welcome to your office. 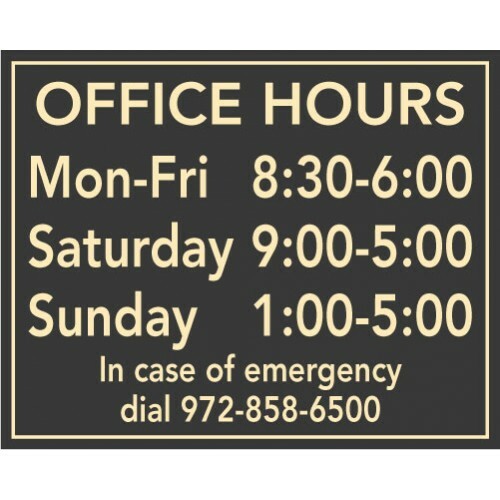 Our office hours plaques ar..